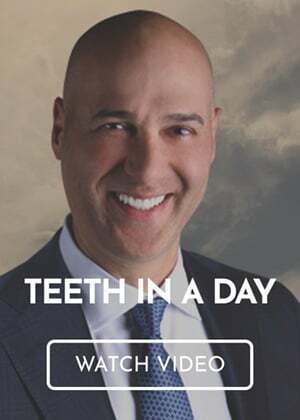 Our Troy, MI cosmetic dentist may recommend porcelain veneers to cover teeth that are slightly chipped, cracked, discolored, or have other minor imperfections. Whether you chipped a front tooth or need to cover a stained tooth, you can trust our veneers dentist to find the right solution for your smile. Dental veneers can help you smile with confidence and maintain good oral health. If you think you might be a candidate for the veneers procedure, your first step is to request a consultation with our cosmetic dentist. During your consultation, we’ll be able to determine whether you’d benefit most from dental veneers or another cosmetic dental procedure. We may recommend the veneers procedure if your teeth are healthy, but have minor imperfections. Veneers are often used to restore teeth that are stained, gapped, crooked, or chipped. Veneers are wafer-thin porcelain shells we’re able to bond to the fronts of your teeth. For this reason, we’ll need to remove a thin layer of enamel to make room. Once we do this, our dentist will take impressions of your teeth to send to the lab where your veneers will be made. We’ll also place temporary covers over your teeth. When you return for your second appointment, we’ll be able to remove the temporary veneers and replace them with your permanent porcelain veneers. Take care of your porcelain veneers like you do the rest of your smile. The American Dental Association recommends you brush your teeth twice a day for two minutes at a time. Our Troy, MI veneers dentist also recommends you floss once daily to remove plaque hiding in between teeth. Porcelain veneers can last years with proper care. Our cosmetic dentist offers porcelain veneers and other dental procedures to help you achieve your best smile. To request an appointment with our Troy, MI veneers dentist, call the Premier Dental Center at (248) 457-0500.